Facebook has open and closed groups and there are a LOT of them for garment decorating. 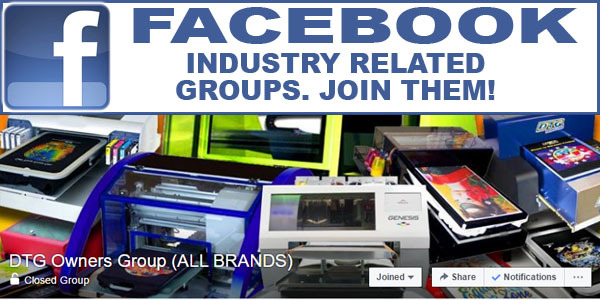 In case you did not know about them simply type a search of Screen Print Groups in Facebook. We belong to a number of them. You have to Join most of them and many have thousands of “members.” These are very active Groups with a lot of great information. If you have a Group not listed simply send a note to info@tbiznetwork.com.